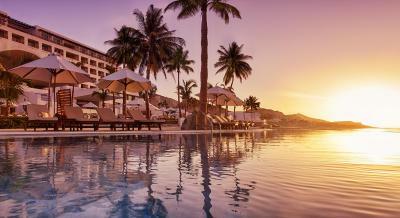 Lock in a great price for Marquis Los Cabos All Inclusive Resort & Spa- Adults Only – rated 9.2 by recent guests! The room and hotel property greatly exceeded our expectations. The food and service were impeccable as well. Absolutely everything about this place is delightful: the beach, the pools, the service. The poolside snacks (ceviche and guacamole all day), the cocktails. The rooms are comfy and we were so glad we sprang for ocean view! A small cake was delivered for my birthday on the first night - lovely touch. The ceviche was the best food on the property. 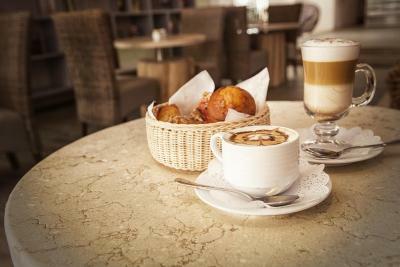 Large comfortable rooms with a friendly and helpful staff. I loved the view and the decor of the Marquis! 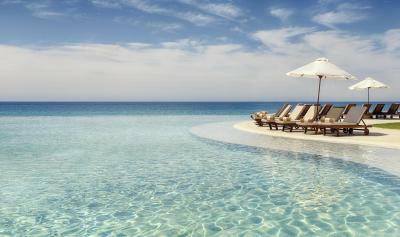 Every chair was set up with an unobstructed view of the infinity pool overlooking the ocean. The decor was classy and comfortable. The STAFF! Loved them. They would come around each hour inviting us to each of the planned activities. We only paused our lounging one time to do the stretching with Mario, and had a great time. Will definitely come back. The view is breath taking! The staff was suuuper nice! Specially Juan , Ely and the girls from the Mexican restaurant!! The room are beautiful, and the location is perfect! I love the barbecue at the beach!! And the show! The staff was incredible - so attentive and accommodating. The property was gorgeous and impeccably clean. We felt very relaxed and taken care of. Our vocation at this hotel was excellent! So quite beautiful place! Perfect beach zone, it’s so big and wide! The view is amazing! Good food, nice pool area, friendly staff, comfortable rooms, nice ocean view. Enough activities without being too loud. Nice gym. 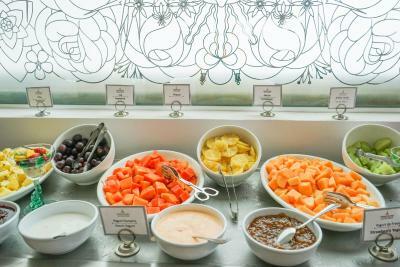 Everything about the resort was excellent - the rooms, amenities, service, food, etc. We were planning our next trip before we checked out. 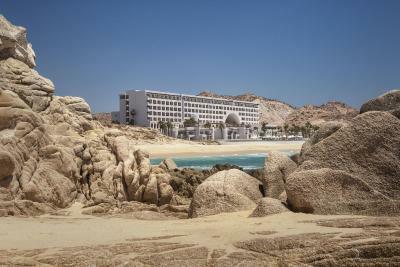 Marquis Los Cabos All Inclusive Resort & Spa- Adults Only This rating is a reflection of how the property compares to the industry standard when it comes to price, facilities and services available. It's based on a self-evaluation by the property. Use this rating to help choose your stay! 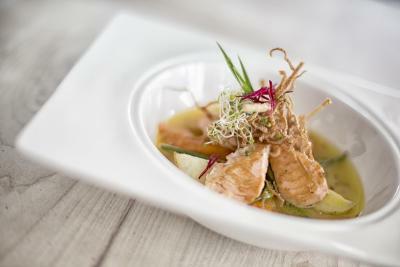 One of our best sellers in San José del Cabo! This impressive luxury resort includes an spa and fitness center. 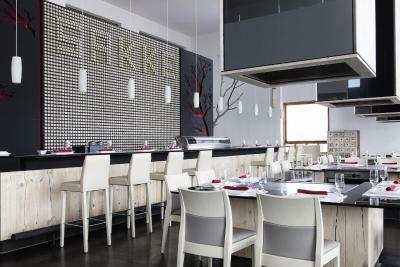 It offers on-site dining and an outdoor pool. 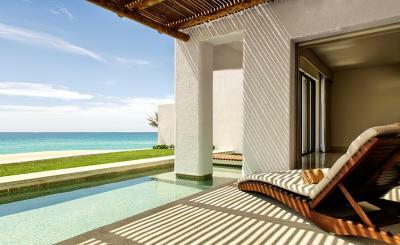 Every stylish suite includes a spa bath and a terrace with a private pool and ocean views. 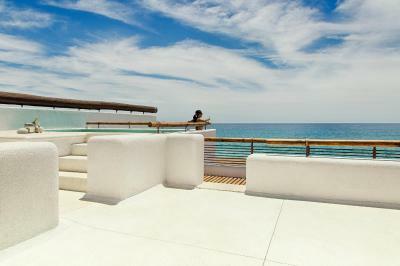 The suites at Marquis Los Cabos Hotel and Resort include a private balcony or terrace. A sofa bed is also included in the suites. Bathrobes and slippers are available in the suites as well. 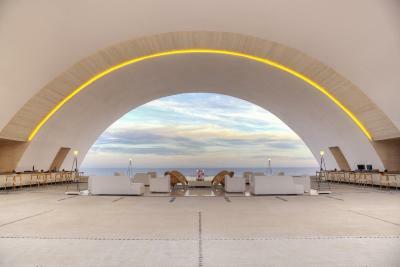 A beauty salon and gift shop are on-site at the Marquis Los Cabos Hotel and Resort. 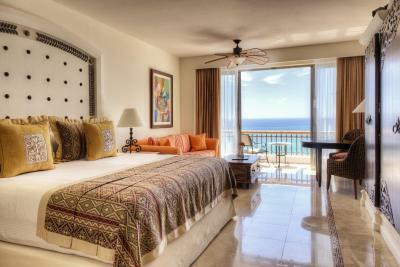 The resort offers a 24-hour front desk and room service. 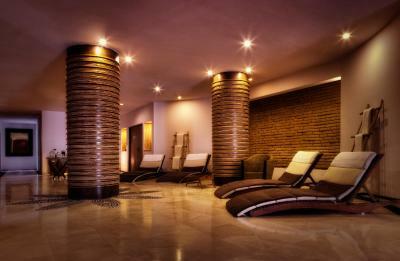 The extensive spa offers a wide range of massage treatments. 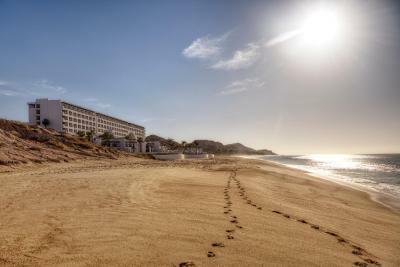 Hiking and scuba diving are located near the Marquis Los Cabos Hotel and Resort. Whale watching and snorkeling are also a short distance from the hotel. Guests can also engage in activities such as archery and dance lessons. 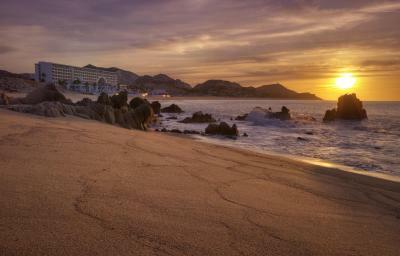 Los Cabos Airport is a 20-minute drive away. 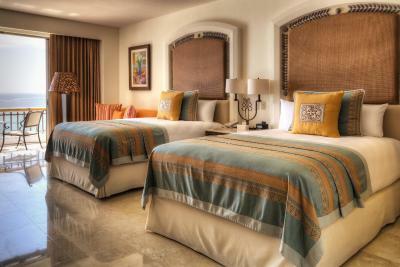 When would you like to stay at Marquis Los Cabos All Inclusive Resort & Spa- Adults Only? 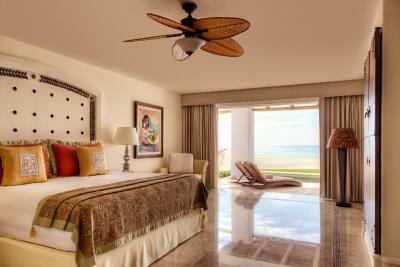 These 650 square-feet suites feature ocean views and include a king-size bed or two double beds, subject to availability. The room is located in the lower floors of the building, with luxury linens, a desk, and a furnished balcony. This room has a king-size bed or two double beds, bed selection subject to availability. 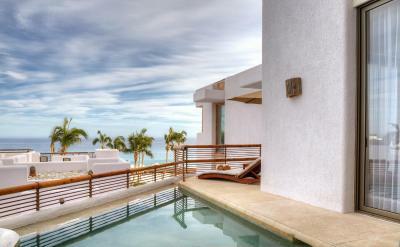 Also features a private balcony or terrace with ocean views. The bathroom includes a bathrobe, slippers and a spa bath. There is also a mini-bar, laptop safe and a sofa bed. 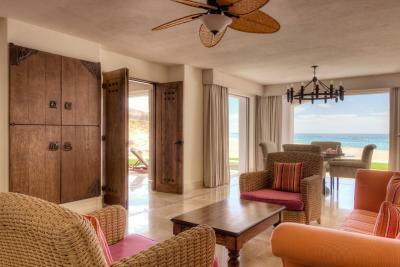 These suites are located in the higher floors and provide a panoramic ocean view. 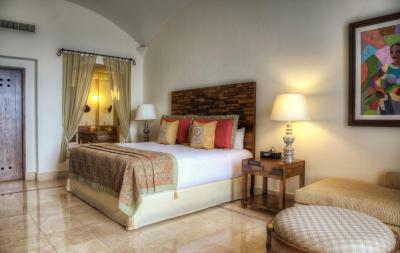 This suite features a plunge pool, a private bedroom with a King-size bed and luxury linens. 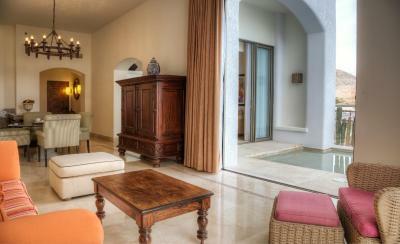 It also includes a living and dining area, a wet bar, and a furnished lounge terrace with a private plunge pool. Located just a few steps from the ocean, these villas offer either a garden with a plunge pool or a rooftop pool and sundeck. 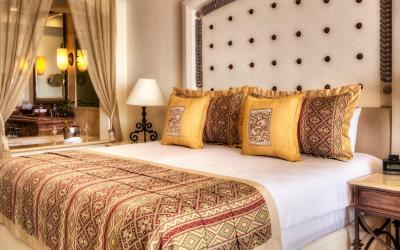 They feature a private bedroom with a King-size bed and luxury linens, as well as a living and dining area, wet bar, and a furnished lounge terrace with a private plunge pool. Two full bathrooms are included. 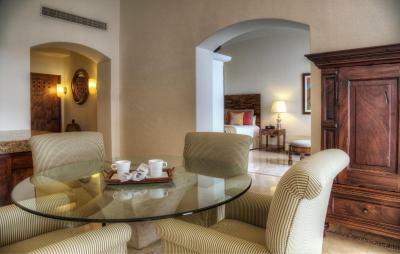 House Rules Marquis Los Cabos All Inclusive Resort & Spa- Adults Only takes special requests – add in the next step! Marquis Los Cabos All Inclusive Resort &amp; Spa- Adults Only accepts these cards and reserves the right to temporarily hold an amount prior to arrival. 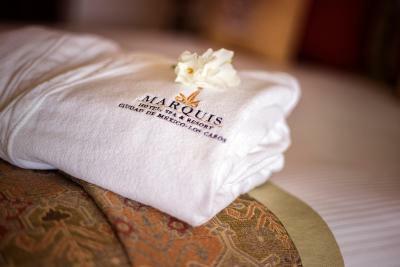 Marquis Los Cabos All Inclusive Resort & Spa- Adults Only accepts these cards and reserves the right to temporarily hold an amount prior to arrival. The credit card used for completing your reservation must be shown at check-in. Please note that for reservations on December 31st, there is a extra fee of 75.00 USD per guest for New Year's Gala Dinners. 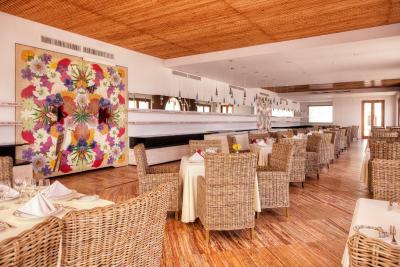 Please take into account that Cargo del Mar Restaurant is not included in the All Inclusive plan. They discourage swimming in the ocean, which is a bummer. Something we loved, but others might not: this place is FAR from Cabo, so if you’re planning on bar hopping as a regular activity, may want to stay elsewhere. This place is all rest and relaxation. Lost item in room. They did nothing. The friendliness of the staff, the cleanliness of the resort, and the excellent attentive service of the staff exceeded all of our expectations. 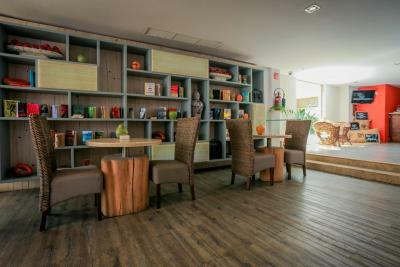 The ambiance of the resort contributed to the overall pleasure of our vacation stay. The food (other than the ceviche) is obviously built to appeal to such a wide audience that it was all just kind of bland. Also, the door to the toilet is glass and the restroom is generally open to the whole room. I only wish there was one more restaurant but we'll be going back.... a lot! Service was impeccable, the place was gorgeous! Just few things ... the restroom from restaurant sake was shocking,,, it did not go with the rest of the hotel ,, it looked dirty and abandoned.. but the rest of the bathroom were beautiful .. The wine selection wasn't good and only one pool was semi-heated. However, I would highly recommend this place (and already have) to many friends and family. We do plan on coming back - love it! Italian restaurant was good but outside, so couldn’t eat there on cooler nights. The pools were freezing except one. Should heat the main pool too so we could have done water aerobics. Spa was very expensive for massages so couldn’t enjoy that. Everything was amazing. It felt like i was home! This place is a freaking nightmare. Food was trash. No entertainment. Mediocre grounds with CRAP for restaurants and low grade alcohol. My bf and i couldn't even finish one meal it was so gross. There were no events or shows during our stay except on night on tuesday which was literal comedy how bad the music was. it was a cover band singing to sarah mcgloclin and funky white boy. I wish i was kidding. This place is a disgrace. To top it off, the front desk staff overcharged me (and pocketed my cash) because i paid in us dollars when i asked for receipt for my stay they refused to give me reciept for my cash. Saying i did not pay the amount i Paid in US dollars.